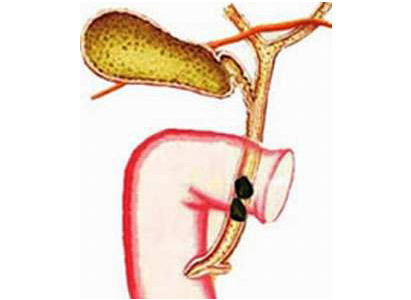 Duodenal cancer can be primary or secondary to malignant cancers of nearby organs, such as the stomach, bile duct and pancreas. Primary malignant cancer of duodenum is not common but should not be neglected. The most common duodenal cancer is adenocarcinoma, others like leiomyosarcoma, malignant lymphoma, carcinoid are also comparatively common types of duodenal cancer. Duodenal cancer is not a common cancer. Its incidence accounts for less than 1% of all the malignant cancers in the whole body. Duodenal cancer has a comparatively high incidence in group between 50 to 70 years old, with a larger proportion among males than females. What are the causes of duodenal cancer? So far, causes of duodenal cancer still remain unknown. But substances in secretion of bile and pancreatic juice, for example, secondary bile acids like lithocholic acid, are likely the risk factors. Diseases, such as familial polyposis and benign epithelial tumors like villous adenoma, are likely related with duodenal cancer. Another study showed that duodenal ulcer, canceration of diverticulum and genetic factors also have certain relation with duodenal cancer. What are the symptoms of duodenal cancer? 1. Pain: abdominal dull pain or discomfort, which is not relieved after eating and sometimes radiates to the back. 2. Loss of appetite, nausea, vomiting: these are non-specific gastrointestinal symptoms, which may occur in 30% - 40% of duodenal cancers. Symptoms like frequent vomiting and vomiting out abundant contents, are mainly the result of partial or complete duodenal obstruction caused by the enlarging tumor, which gradually blocks the intestinal cavity. 5. Loss of weight: Loss of weight is a common symptom. However, progressive weight loss often indicates bad treatment effect. 6. Abdominal mass: great enlargement of the tumor or invasion to surrounding tissues may cause palpable right upper abdominal mass to some patients. Experts from Modern cancer Hospital Guangzhou remind that once symptoms of duodenal cancer occur, one should go to regular hospital for examination and treatment timely.